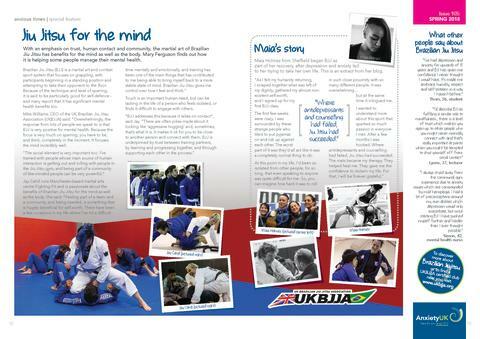 A great article on Brazilian Jiu Jitsu in the March 2018 issue of Anxious Times Magazine, published by Anxiety UK. Probably everybody who trains in BJJ can see and feel the physical benefits. 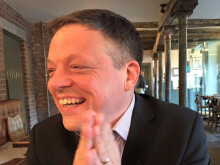 The positive effects on mental health can be harder to quantify, but are just as real. Thanks very much to Anxiety UK and also to Maia Holmes (one of our previous featured athletes) for the coverage. 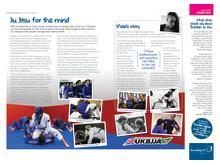 To find your local UKBJJA club, go to www.ukbjja.org and start your training journey!